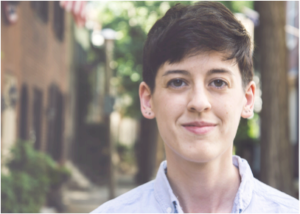 This week’s New Music Monday features music by Philadelphia-based composer, Emily Cooley! Her String Quartet No. 1, “Etched” was premiered by the JACK Quartet in 2011, and was also selected for the 2012 PARMA Recordings Anthology of music and as the winner for the 2012 Tribeca New Music Young Composers Competition. It is a cool piece that makes effective use of many of the colors of the string quartet. I have a particular fondness for string harmonics, so it’s perhaps unsurprising that I find the use of artificial harmonics appealing. In addition to being a composer, Emily is the co-founder of the New York City-based presenting organization Kettle Corn New Music, which is definitely worth checking out.